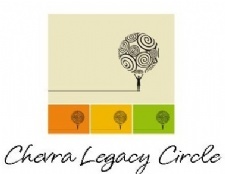 We are excited about the launch of the Chevra Legacy Circle that will provide for future growth for our community. As a Charitable Bequest in your will or trust. IRA, 401k, 403b or Pension Plan beneficiary. Click to download a pdf document about different Legacy options as well as a letter of intent. All Legacy Circle participants will be recognized upon receipt of your letter of intent. Please contact the office to arrange a personal conversation with a Chevra leader familiar with the program and giving options. Download our Legacy Circle flyer here. Congregation Chevra Thilim is a proud participant in the Community Legacy Project-an initiative of the Jewish Community Federation and Endowment Fund.